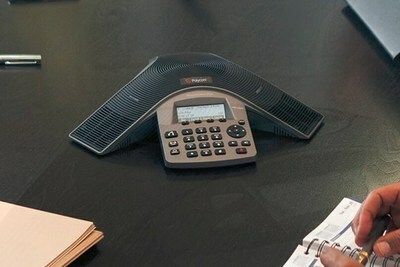 SANTA CLARA, Calif., Jan. 16, 2019 /CNW/ -- The change in meeting room formats from large boardrooms to small huddle rooms in organizations all over the world has intensified the demand for voice over Internet protocol (VoIP) and universal serial bus (USB) tabletop audio conferencing endpoints. As huddle rooms are centered on robust audio that supports instant interaction and complements video conferencing, tabletop audio conferencing endpoints are increasingly being preferred by enterprises. In addition, the rapid migration from time division multiplexing (TDM) to IP infrastructure has boosted the demand for VoIP conference phones across small and medium meeting rooms. "Participants that deliver innovative tabletop audio confeencing devices that double up as video and content-sharing media hubs will have a distinct edge. The growing deployment of video in medium/large meeting spaces across the globe is encouraging audio vendors such as Logitech and Polycom to bundle cams with their tabletop audio conferencing endpoints," noted Srinivasan.